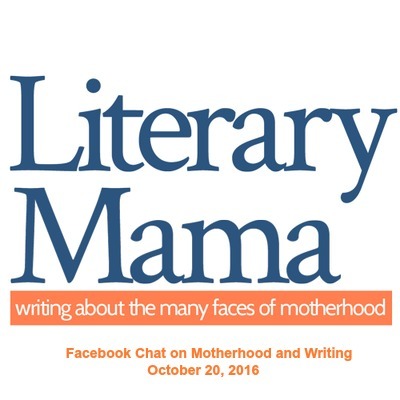 Literary Mama is excited to chat on Facebook this month. We invite you to join us on Thursday, October 20, throughout the day to answer questions regarding motherhood and writing. *Are there any subjects you won’t write about your children? Why? *Is writing about our children exploitative? How do we quantify this statement? *How do we reconcile our need to write and children’s privacy? *Are general topics (birth stories, birthdays, milestones) always acceptable to write about? *If mother-writers determine a topic is off-limits, what does this do to writing as a whole? If vulnerability is a key in writing, then what role does censorship play in straddling the fence between the two? *Have you regretted anything you’ve written about your children? *If you obtain your child’s permission before publishing a piece, do you feel like this is an adequate way to approach the dilemma? Mark your calendars now and join us next week for our Facebook Chat. Chime in on this important discussion throughout the day.